It's a great double stroller. It is bulky and can be very heavy. 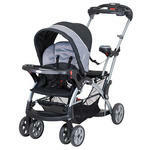 As a mom of 2 having this stroller makes it easier to navigate through the mall and theme parks with the 2 children! I have twins one that can Walk talk sit stand all the above so she can use the stand part an the other twin that. Cant do anything uses the seat..... They love it an we also used the double stroller by baby trend too when they were first born an juat cliped there seats in. 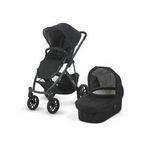 They are both amazing easy to use lightweight strollers. Great for my infant and 4 year old! A little bulky. Love this! 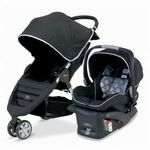 My infant clicks in easily in her car seat and then she transitions well into the upright position. My son loves the ability to ride on the stroller by either standing or sitting! It has a small seat for an older child that can be used when the child sits however be sure to click them in because he slod out a few times when we forgot. Has little handles for the child if they choose to stand. 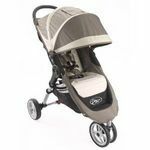 Makes life easier for parents of older toddlers too big for a regular stroller and infants! Storage is a issue in my smaller car trunk but fits fine in the truck bed or van. Sturdy and durable. Easy to fold down and set up. Handles well and turns easily. 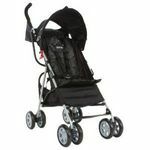 I love the stroller I have used it for 3 kids. One sitting in the front, one sitting in the second seat and one standing. I wish there was a way to attach a second back rest for the second seat. Very Good Product Very Good Price! Dependable and Easy to Use! I've had ot for over a year now and it is the same as if I just bought it wheels are kept nice no eings of aging I love how easy it is to folld and go. It was perfect for having 2 kids close in age. My toddler always sat in back so he could watch over good sister. As well as an amazing feature for the carseat to be clipped on.